Gamers are loving Krunker.io for its fast and furious pace and funky graphics. Parents and teachers not so much. Well, duh. It’s a first-person shooter, after all. 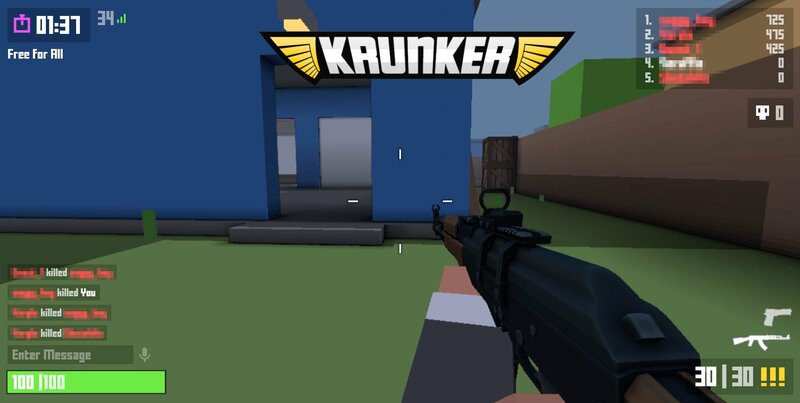 Krunker.io players can choose to arm themselves with assault rifles, rocket launchers, revolvers, light machine guns and pretty much everything in between. And like all such games, abusive, offensive or just plain aggro voices abound. The game also features sneaky embedded ads, none of which can be turned off with an ad-blocker, some of which promote offensive content. 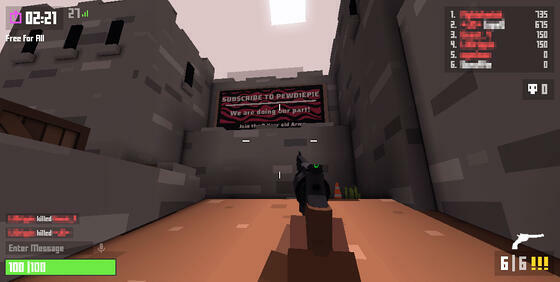 The screenshot above shows one such ad, an embedded billboard urging players to "Subscribe to PewDiePie" - a reference to the controversial Swedish YouTuber. Krunker.io’s online “Information for Parents” states, “Your child should always be honest about his age.” And its self-awarded age rating is 8 years old. If you decide to allow your child to play Krunker, we strongly recommend that you actively supervise their play and adjust settings to disable voice chat. If you decide Krunker isn't right for your child, it’s a simple matter to block it entirely, or manage it at your discretion, using Family Zone controls. With Family Zone, you can manage your children's online gaming in way that works for them - and you.